There’s much to see at the NGA including its fantastic new indigenous arts wing, which includes both contemporary pieces and historic artefacts. 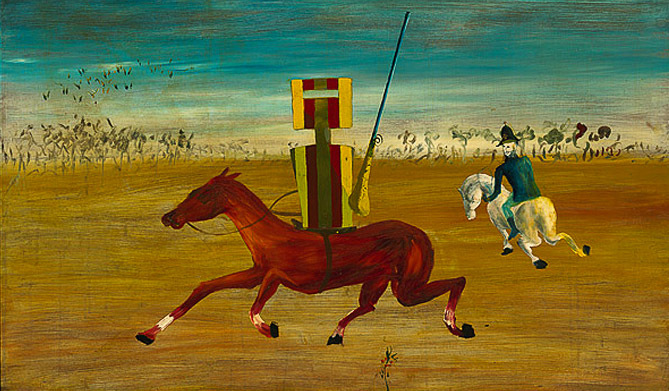 Yet the one exhibit no visitor here should miss is the Ned Kelly series by Sidney Nolan. The series is housed in its own oval exhibition space, purpose built to display the 26 paintings that depict the rise and fall of Australia’s favourite outlaw, from the shooting of policemen at Stringybark Creek to the siege of the Glenrowan Hotel.